Positioned in the centre of Sydney, the Sydney Observatory offers not only a breathtaking view but an important history which has made it one of the top heritage sites in Australia. 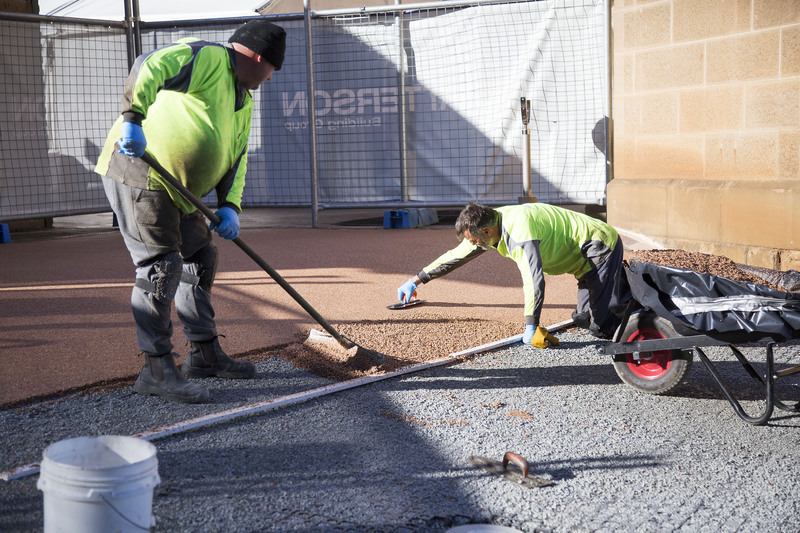 StoneSet was called upon by MAAS (Museum of Applied Arts & Sciences) to help solve a few problems they were having with their paving; the existing stone pathways, which had become very worn and undulated. The existing deco granite was not coping with the high levels of foot traffic or the sloping site, which saw the loose granite constantly rolling down the hill after rainfall. 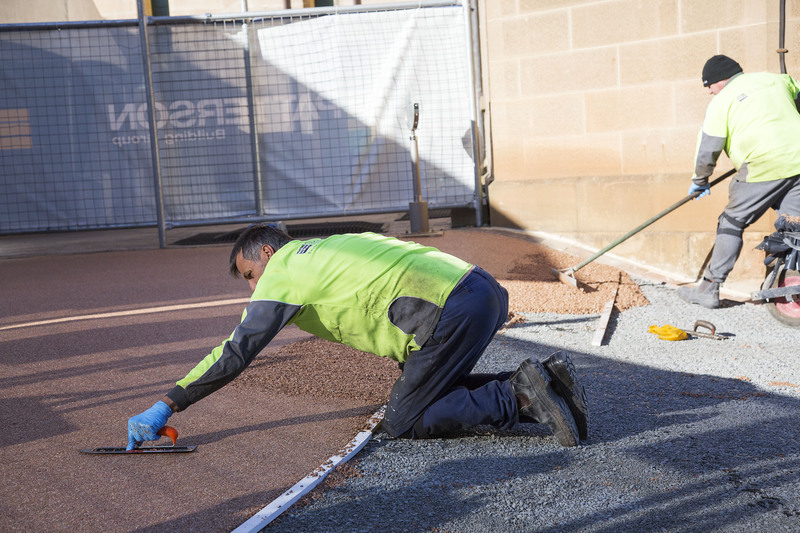 The brief was to provide paving which was in keeping with the heritage nature of the site, while meeting the accessibility requirements of today. 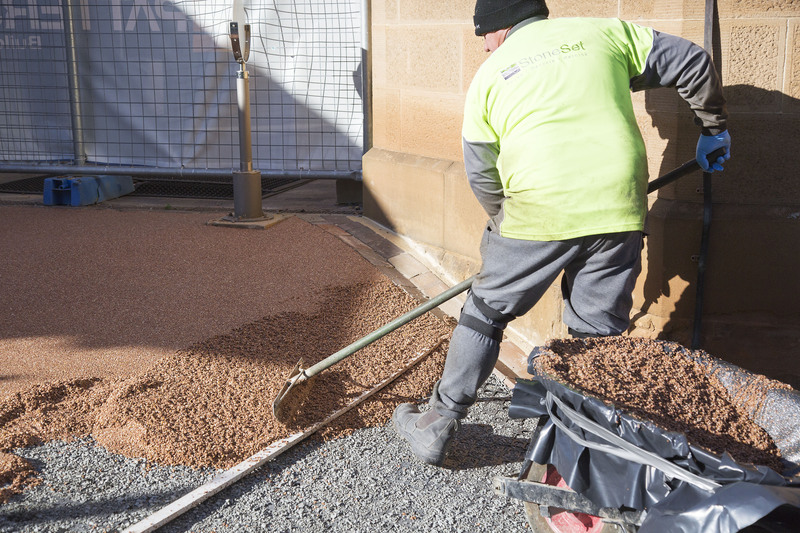 It was necessary to match the existing red granite but with a product which would be long lasting, low maintenance and easy to traffic. StoneSet with an Atlantis® Gravel Cell™ sub-base offered the perfect solution, solving all the existing problems without sacrificing the look of the heritage site. Bound by a polyurethane resin, the stones can no longer wash away in the rain nor will they move with the pressure of turning car tyres and will continue to stay in place with minimal maintenance for 20-25 years. Helping with water runoff due to the slopes, the permeable nature of the 6mm sized stone, as well as the Atlantis® Gravel Cell™ sub-base, filled with 10mm gravel also resolved the previous pooling and run-off issues which had started to degrade the site and cause a maintenance headache for the ground keepers. 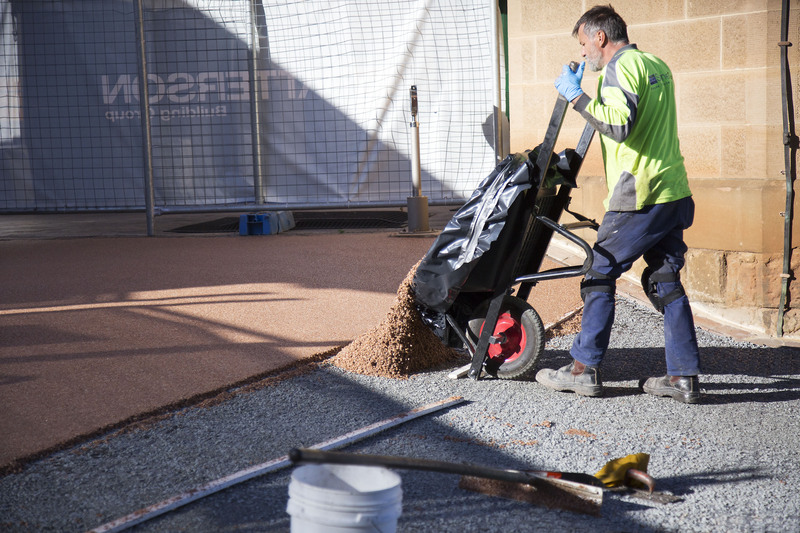 Laid on a well compacted road base at just a 75mm depth, StoneSet and Atlantis® Gravel Cell™ combination required minimal interruption to the grounds and due to the subsequent quick installation – little interruption to the opening times of the popular site. Even the heritage brick pavers were able to remain in place. In terms of colour, a mix of Coral and Cream was chosen which beautifully carried the traditional red through the site while enabling the pathways to tie in with the sandstone features. Over 1000m2 of Atlantis® Gravel Cell™ drainage cell and StoneSet had been laid and the site looks absolutely stunning. 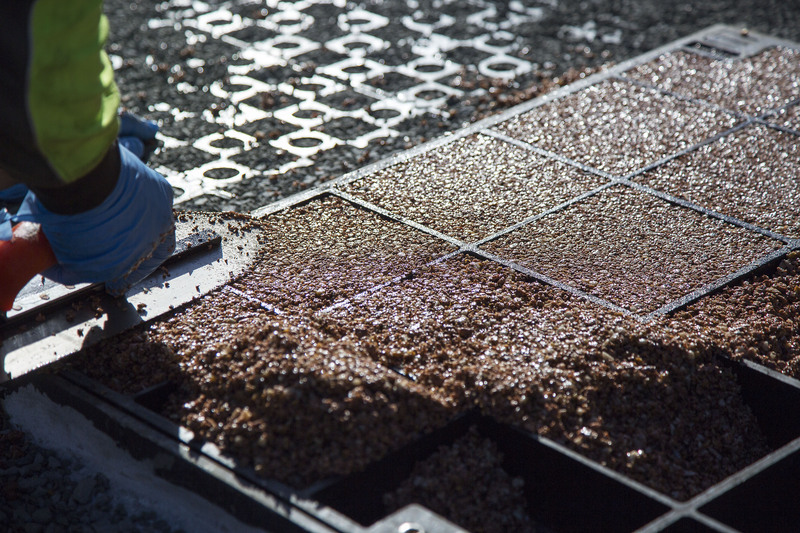 The synergy between StoneSet and the Atlantis® Gravel Cell™ sub-base has resolved all of the previous issues and with minimal interruption to the grounds. StoneSet has also offered a durable and low maintenance solution, which will ensure the benefits can be enjoyed for years to come.